Find out which Mazda crossover SUV is best for your drives around Leesburg and the surrounding areas with this guide! Take Your Family Home to Leesburg in a Mazda Crossover SUV! There’s a lot for Windermere drivers to love about the new Mazda SUV lineup, so visit our dealership today to learn more about how the Mazda CX-5 compares to the Toyota RAV4 or about our range of offers and incentives on Mazda crossovers. 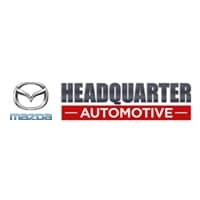 Our certified Mazda dealership is located at 17500 State Road 50 in Clermont, FL. Contact us today to schedule a test drive, or check out things to explore in Clermont, like the Florida Citrus Tower. *MSRP plus $975 destination charge (Alaska $1,020) but excluding tax, title, and license fees. Model shown priced higher. Actual dealer price will vary. See dealer for complete details.